News, exhibitions, residencies, publications and so forth about Sanne Kabalt. UPCOMING EXHIBITIONS Glad to share that I will show my most recent works in two international exhibitions soon. In May 2019 my video work 1.4 will have its premiere in Finland, during Saari Residence’s Open House. From October 2019 til January 2020 father, sleeper will be part of a groupshow at the Württembergischer Kunstverein in Stuttgart. To be continued! THE SOUL, THE EYE AND THE HAND @ BUITENKUNST For all photography enthusiasts who’d like to learn and experiment more, I’ll teach a special week at Buitenkunst Randmeer this summer. Buitenkunst is without a doubt one of my favourite places on this planet - that’s a strong recommendation, right? My programme is titled ‘The soul, the eye and the hand’, and it’s inspired by these wise words by Paul Valéry & Walter Benjamin. 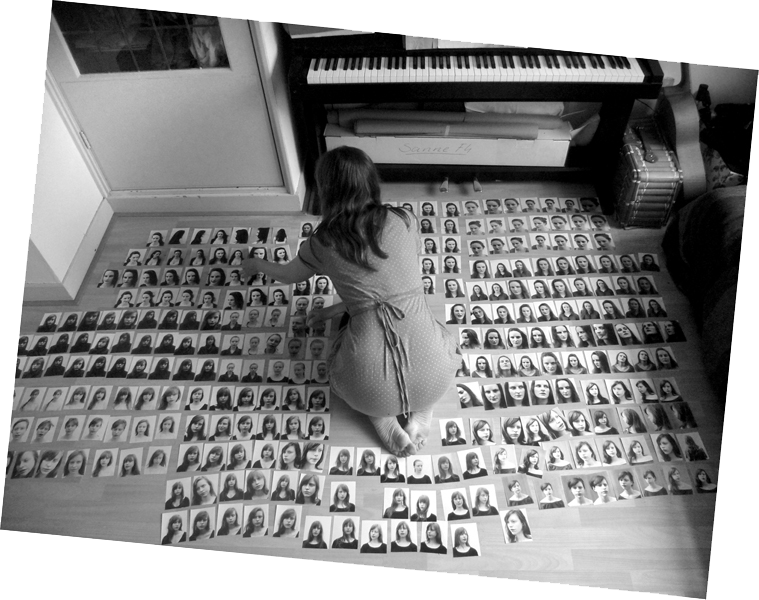 For more info & all the beautiful programmes of my colleagues, check the Buitenkunst programme. AFK ONTWIKKELBUDGET GRANT I am so grateful to receive a grant from AFK, het Amsterdams Fonds voor de Kunst. It’s the so-called Ontwikkelbudget / Development budget, which will support me for a year in which I intend to make a lot of new work and exhibit it in my beloved Amsterdam. My thanks to everyone at AFK for their trust! CURRENTLY WORKING IN FINLAND I’m spending November and December at Saari Residence, in the southwest of Finland, supported by Kone Foundation. It is a beautiful place to be, to reflect, to write and to make new work. Here’s a first blog, ‘friend and foe’, and more will follow. Also, you can read a bit more on my plans as well as my colleague’s projects in this short article: ‘The last Saari Fellows for 2018 have arrived‘. 睡眠复仇，梦见生命 IN BEIJING While I have not yet made it so far, part of my work father, sleeper has made it to Beijing, China, as the groupshow curated by Ruth Noack titled Sleeping with a Vengeance, Dreaming of a Life continues its travels around the globe. This version is known as 睡眠复仇，梦见生命, it runs from October 7 until November 1st 2018 and is hosted by the Institute for Provocation. SIGNING MY BOOK AT UNSEEN It is almost time for Unseen, the photography fair and festival that turns Amsterdam’s photography world inside out, in a way. I’ll join the book market (the best part, surely!) for a signing of my book Zolang je niet zo over problemen praat zie je er toch niks van. A full list of signings and launchings can be found here, and you will find me on Friday September 21st at 15:30 at the stand of PhotoQ Bookshop. Looking forward to see you there! SELECTED FOR 'ARNHEMSE NIEUWE' A jury selected a group of artists and designers who graduated from the academy ArtEZ this year. I feel honoured to be the selected graduate from the Dutch Art Institute. By the name of 'Arnhemse Nieuwe' the eleven graduates will present their work in pecha kucha presentation form at the 20th of September at Showroom Arnhem. For more info and the full list of artists and designers, have a look here. EXHIBITION OF BRAND NEW WORK IN NORWAY During the month of August 2018 Laura ten Zeldam (an artist based in Brussels who works with glass, paint and ink) and myself (using photography, video and words) were in a residency together at Leveld Kunstnartun, Norway. There we embarked on a collaboration that revolves around the questions: What if the process of making a work of art becomes the work of art? And, can an artist create something that is not a depiction of nature, but nature in itself? The exhibition runs for three days only, August 24, 25 and 26, but we have also made one large in situ work that will stay in Leveld permanently. Velkommen! 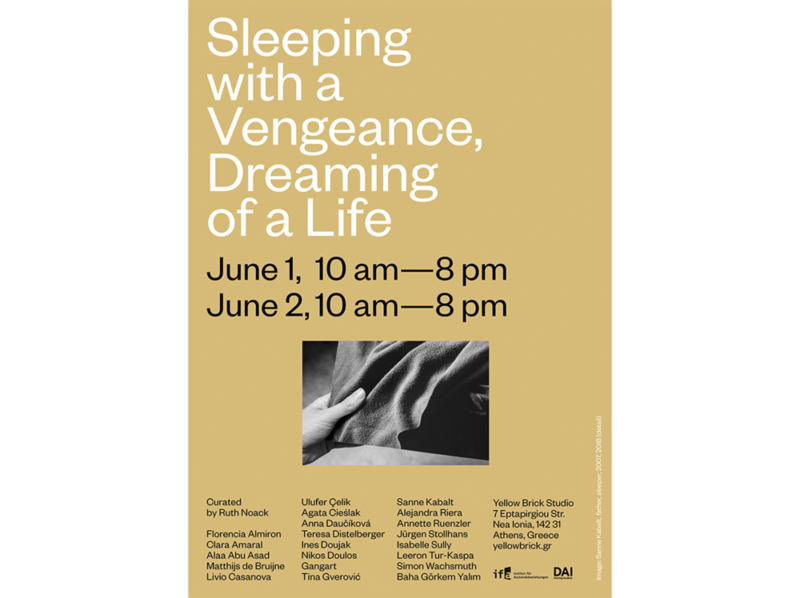 'SLEEPING WITH A VENGEANCE' AT LÍTOST PRAGUE The exhibition 'Sleeping with a Vengeance, Dreaming of a Life' curated by Ruth Noack is travelling to Prague. For this exhibition I made the work 'father, sleeper'. The first iteration was in June at Yellow Brick, Athens, as part of the presentations of the Dutch Art Institute. I am glad to participate again in the beautiful space of lítost from August 31st until September 28th 2018, in the company of amazing artists. On the lítost website there is an elaborate section with a page on each artist - this is mine - worth having a look at. And of course, if you are in or around Prague, don't miss it! MASTER OF ARTS So happy to share with you that I have my MA (Master of Arts) in the pocket! I graduated from the DAI this July in Athens after among other things creating the new work father,sleeper, exhibiting in the group show 'Sleeping with a Vengeance, Dreaming of a Life', presenting a performance at State of Concept and submitting a thesis. My thesis is called: Unsettling Capture: Wording, Haunting, Dissolving and if you are interested in it please check this blog. Yay! ‘ZOLANG JE NIET ZO OVER PROBLEMEN PRAAT ZIE JE ER TOCH NIKS VAN’ INTERVIEW & PAPER INFO Here’s two beautiful articles on my book. De Monsterkamer gave me invaluable advice on which paper to use. You can get all the inside information in this article, which includes some great photographs of the book taken by Justina Nekrasaite. Also I was interviewed by Leonie Wenting for Swordfish & Friend, in the English language by the way; a rare chance for all non-Dutch speakers to hear what the book is all about. MY BOOK IN BEAUTIFUL BOOKSHOPS My book is now for sale in some of my very favourite bookshops: Walter Books (Arnhem), PhotoQ Bookshop (Amsterdam), Books at Rib (Rotterdam) and Swordfish & Friend (Utrecht). Zolang je niet zo over problemen praat zie je er toch niks van can be ordered directly by sending me an email as well, but I also encourage you to pay a visit to these amazing well-curated shops and to always support your local bookshop. Also I'm open for suggestions on more places to sell it - thank you! SOME SAY IN EXHIBITION IN ICELAND A few years ago I had the pleasure of participating in the beautiful residency programme Nes Listamiðstöð in Skagastönd, Iceland. In 2018 the residency celebrates its 10th anniversary and for this reason they have put together an exhibition with some of the finest works that have been created there. A few photographic prints as well as my one-meter-wide photobook Some Say made the grand voyage to Iceland and are exhibited at Deiglan Gallery, Akureyri and Nes Listamiðstöð Skagastönd, Iceland, this summer. 'WAYS OF SEEING' WEEK AT BUITENKUNST During the summer I often teach at Buitenkunst, sometimes to children, sometimes to adults, sometimes specifically photography, sometimes in the wider field of visual arts. From July 21st until July 28th this year I will teach a special week in photography to adults with the theme and title 'Ways of Seeing' (borrowed from John Berger). We will investigate how each of us has a unique way of seeing and translate this to ways of photographing and eventually ways of exhibiting. For more info check the description on the Buitenkunst website. Note: this week is already fully booked! RESIDENCY WITH LAURA TEN ZELDAM IN NORWAY It looks like 2018 will be a Scandinavian year for me, after being selected for Saari, Finland I was also invited to work at Leveld Kunstnartun in Norway! During August 2018 in this residency, I'll be continuing collaborating with glass artist Laura ten Zeldam on silkscreens on glass, using my photography and her glass- and silkscreen wizardry! EXHIBITION IN ATHENS : SLEEPING WITH A VENGEANCE, DREAMING OF A LIFE I'd love to invite you to a very special exhibition on the subject of sleep as subversion and dreaming as wishing. We've been working towards this for months with a group of amazing people; the project was initiated and curated by Ruth Noack, enriched by Maria Berrios and Tina Gverovic and made possible by the Dutch Art Institute (DAI). The project will open up to visitors in Yellow Brick in Athens, Greece on the 1st and 2nd of June. 'INWARDS' INCLUDED IN GROUP EXHIBITION IN KRK, CROATIA I will exhibit a single photomontage titled Inwards (2016) in the city of Krk, Croatia as part of the exhibition 'I am.../Ja sam...' at Kreativni Krk, from April 27th - May 15th 2018. The exhibition announcement states: Nowadays it is customary to start off a conversation with a stranger by asking: “What do you do for a living? / What is your occupation?” As if we want to get an instant idea about person, put him or her in a “drawer”. This exhibition attempts to opposes this by inviting artists to show all those parts of themselves (imaginary or real) that are essential to their self-determination but cannot always come to light. 'RECOLLECTION' EXHIBITED AT ITHAKA FESTIVAL IN BELGIUM Ithaka is a festival of fine arts in Leuven, Belgium that has experimented and grown since 1993. In recent years, the organisation of Ithaka chooses to use empty monumental buildings to show art by young makers to a wide audience. It is time for the 26th edition of Ithaka, which will present the work of 15 artists in the Karthuizenklooster in Leuven from the 5th until the 11th of March 2018. I will show several works from my 'Recollection' project, including the large photograph on glass. For more information check Ithaka's website. VOORVERKOOP / PRE-SALE "ZOLANG JE NIET ZO OVER PROBLEMEN PRAAT ZIE JE ER TOCH NIKS VAN" If all goes well, in the month of May my book Zolang je niet zo over problemen praat zie je er toch niks van will be printed!! The publication, made after my residency at Het Vijfde Seizoen, is being designed by Rosan Dekker. In order to secure a copy and help me with the costs for the designing, printing, lithography and binding you can pre-order your copy now by sending me an email. For only 25 euros you will receive 1 book out of an edition of 300 copies. There is also a special edition in the making! WOLF? PUBLISHED IN NOVELTY MAGAZINE Novelty is a quarterly online magazine from the UK, interested in fresh perspectives on unconventional themes. The latest edition, #10, is called "Spinning Stories" and includes my project Wolf? , as well as a text I wrote on the subject. Have a look here! RESIDENCY AT SAARI FINLAND IN 2018 I am thrilled to have been selected for a two-month residency at Saari, Finland. Time, space, a studio, a stipend, nature, and a language that includes words like *aalto* (sea wave), *hiljaisuus* (silence) and *juoksentelisinkohan? * (I wonder if I should run around aimlessly?)... What more could you wish for? My project proposal is published on their website, have a look. INTERVENTION AT THE CAUCUS, VAN ABBEMUSEUM This May, at the Van Abbemuseum in Eindhoven there is a Caucus - a gathering in which the museum questions itself. During the Caucus DAI students will present a number of interventions. Through the course ‘Curating Positions’ at the Dutch Art Institute, led by The Showroom, Emily Pethick & Leire Vargara, I am collaborating with Clementine Edwards and Maike Hemmers. Together we are working on an intervention called 'Absence Takes Shape', in which we will presents the Van Abbemuseum visitor with a ribbon - a material memento of a feminist conversation between the three of us. Our exchange is about the absence and presence of craft in the museum as well as the tender and violent aspects of touch. THE THEODORA NIEMEIJER FUND IS SUPPORTING MY BOOK I am very happy to have received some support for 'Zolang je niet zo over problemen praat zie je er toch niets van', the book I am currently working on, from the Theodora Niemeyer Fund. I would like to thank the committee for their trust in this project! TEACHING AS A FORM OF ART IN BAHIA BRAZIL In the context of the Dutch Art Institute I am part of a group of artists researching the concept 'Teaching as a Form of Art', part of an ongoing research by our tutor, curator Ruth Noack. In Salvador de Bahia, in the Northeast of Brazil, I will give a series of workshops in collaboration with Baha Görkem Yalim & Hannah Kindler & local artists, and all of us are initiating a symposium at Lina Bo Bardi's Coaty building, titled: A Museum in A School - Salvador Iterations. CREATIVE MORNINGS LECTURE I recently gave a lecture about my work and reality for CreativeMornings Amsterdam in SpringHouse Amsterdam. The whole lecture was recorded on video and can be viewed here. DUTCH ART INSTITUTE I am very glad to have been accepted to the Dutch Art Institute. From September 2016 onwards I will be part of this open-minded, experimental Master’s program and I’m looking forward! David Maroto wrote a short text about my work for the DAI website, you can read it here. THIS ART FAIR I'm glad to have been selected for This Art Fair - formerly known as 'Art in Redlight' - an art fair where artists with or without a gallery can show and sell their work. This Art Fair takes place in the beautiful Beurs van Berlage in the heart of Amsterdam, from the 30th of December 2015 until the 2nd of January 2016. WOLF? IN GROUP EXHIBITION IN BREDA My recent project Wolf? is part of the group exhibition New Nature in Brandpunt Breda. The other participating artists are Paul Bogaers, Eef Schoolmeesters, Alegria van der Sande and Evelien Seegers. The exhibition is open daily from December 10th until December 31st at Brandpunt, Reigerstraat 16, Breda. I hope to see you at the opening: December 10th from 16.00 'till 21.00. VRIJ NEDERLAND PUBLICATION Almost a year ago I was selected to make a Vrij Nederland Fotoverhaal. Many days of exploring Dutch forests followed, days of research, as well as days of searching footage made by camera-traps, and days of interpreting advices on how to act when encountering a wolf. And now, on the 15th of October 2015, the day has come: the Wolf? project is published in Vrij Nederland! FOTOFESTIVAL NAARDEN I will exhibit photographs from my project 'Some Say' during Fotofestival Naarden. Have a look from May 14th - June 21th, location: The Fence. 'Some Say' is a project about landscape and imagination that I've started in Iceland. I am now working on; a) a photographic children's book using these photographs, different kinds of paper, drawing and text b) an installation with silkscreens on glass using these photographs in collaboration with glass artist Laura ten Zeldam. Therefore, the exhibit in Naarden will be a one of many shapes and places for these photographs. See you in Naarden! TORENKAMERFESTIVAL Every week another artist works in a tower in Amsterdam's Vondelpark. Earlier this year, I made a work called 'You Need Not Leave Your Room' there. Opium op 4 and VondelCS organise a festival to celebrate and show the artistic outcome of the tower room project: Het Torenkamerfestival on the 5th of June 2015. Welcome! FOMAA @ BRET All FoMaa's Photo's of the Month _including mine_ will be exhibited in Amsterdam's new hotspot Bret from its opening until the month of September 2015. Well worth a visit! THE WOLF IN THE NETHERLANDS For a while now I have been working on a project about the anticipated return of the wolf in the Netherlands for Vrij Nederland. The waiting is over; the wolf has walked in to (and out of) our country. Because of the sudden actuality of this topic I am now sharing my thoughts and progress via a special Wolf Blog here. A ROOM IN A TOWER Did you know that every week an artist is locked up in a tower in Amsterdam's Vondelpark? This happens in the former filmmuseum in the Vondelpark that now houses AVROTROS (public service tv and radio). The project is called De Torenkamer and organised by Opium on Radio 4. Every week they invite an artist to spend a week in their tower, to make work there, in this small space overlooking the park, in solitude and concentration. Three times a week the artist will be interviewed on the radio about his/her work, thoughts and progress. This week it is my turn: I will be 'locked up' in the tower from February 16th until 20th, 2015. All Dutch-speaking folks can read daily blogs about my work and process here: http://opiumop4.radio4.nl/torenkamer/sanne-kabalt and (even better) listen to me talk about it on national radio. Monday on Radio 4 at 23.00 o'clock. / Wednesday on Radio 4 at 23.00. / Friday on Radio 4 at 22.30. You are also welcome to come to the Vondelpark and witness Friday's show live, I'd be happy to see you there! VRIJ NEDERLAND FOTOVERHAAL Vrij Nederland & de FotografenFederatie asked Dutch photographers for a proposal for a photographic story. Out of 117 project proposals 4 were chosen that will be realized. These four photographers are given an honorarium and their story will be published in Vrij Nederland later in 2015. I am honored to be chosen as one of the photographers to do this. I will make new work about the expected, hoped and feared return of the wolf in the Netherlands. RESIDENCY HET POMPGEMAAL DEN HELDER - THANKS TO THE MONDRIAAN FUND I am super glad to tell you that I have been selected by the Mondriaan Fund to spend two months (August and September 2015) in a beautiful residency. This time I won’t head to faraway nature like Romania or Iceland though. This residency is in my own country, my own province even: Het Pompgemaal Den Helder, a fascinating 220m2 building all to myself in the dunes. Time to focus on Dutch nature! PREPARTURE I am selected to participate in an ambitious three-year project called Preparture. The project will investigate the position of young artists today by showing not only their recent work but also information and debates on how they live and think. There will be three exhibitions spread out over three years. The first exhibition and events will take place this October.From October 3rd to 26th. Opening friday the 3rd of October. Kunstencluster Wll Fabriek Boschveldweg 471 ‘s-Hertogenbosch. EXHIBITION IN OFFICE BUILDING I am exhibiting a lot of photographs, old and new, in an office building in Utrecht: Maliebaan 45. This exhibition is the backdrop for those who work there, but it is also open to visitors. Maliebaan 45, Utrecht. Open during office hours, from September 1st until December 31st. WOLF HUNT HAUNTED IN COPENHAGEN Wolf hunt haunted is part of Inside Zone at Exhibition Space Sydhavn Station in Copenhagen, Denmark. This is a multi-disciplinary event initiated by the Romanian poet Florin Dan Prodan that will encompass a book launch & poetry reading, a presentation of the Transylvanian art residency and festival called Inside Zone in Borsec, and a multimedia installation comprising simultaneous screenings from the movie Stalker by Andrej Tarkovsky and short videos of the artists Caro Krebietke (DE), Sanne Kabalt (NL), and Cory Kram (US), who have all been passing through this unique landscape of Transylvania. Opening: Friday, July 4, 19:00-22:00. Poetry Reading and Artist Talk Florin Dan Prodan: Friday, July 4, 20:00. Opening Hours: Saturday – Sunday, July 5-6, 13:00-17:00. NEW WORK, NEW WEBSITE I have returned from Iceland with new work; an almost finished children's book called Some Say or in Icelandic Sumir Segja. After my return I've built a new website that in my opinion does the different aspects of my work more justice. For example, below every work I give you a glimpse of my process of thinking and making. RESIDENCY IN ICELAND I am currently working as an artist-in-residence at Nes Listamiðstöð, Skagaströnd, in the north of Iceland. Mountains, snow, silence, light. Artists, locals. Water. Emptiness. In the midst it all I will live and work, during April and May 2014. Every so often I will post thoughts and images from here to my blog. BEHIND THE FACADE To celebrate Amsterdam’s beautiful canal houses, the OneMinutes. initiated a project called ‘Unseen Behind the Façade’. Several artists created films with a duration of exactly 60 seconds that capture what is behind the facade of canal houses. A selection of the results, including a film I made for this occasion in Het Huis met de Hoofden will be shown as a OneMinute Series in several institutions and museums including Dortmunder U (DE), Drents Museum/CBK Assen, Museum de Fundatie, Museum de Pont, Bonnefantenmuseum, Stedelijk Museum 's Hertogenbosch, East China University (CH), deBuren (BE), Centraal Museum Utrecht, Moti Museum Breda and SCHUNK. There will also be a presentation about the project, including some of the films, at the Goethe-Institut Amsterdam. February 5th 18:30 – 21:00 (on invitation) February 6th 11:00 – 19:00 February 7th 12:00 – 21:00 February 8th & February 9th 11:00 – 19:00. Van Nelle Fabriek Van Nelleweg 1, Rotterdam. MY EYELIDS SLEEP BUT I DO NOT I started a blog, called My eyelids sleep but I do not (a phrase from The Book of Disquiet by Fernando Pessoa). I’ll use it to crystalize and share my thoughts and inspirations. Have a look here. KLEINTJE KUNST I will be doing art performances for small children frequently in the coming months in light of Kleintje Kunst. Using a tiny handheld projector, myself and the room I hope to trigger the reactions of these little ones with my video work. DE GROTE AMSTERDAMSE KUNSTKALENDER ...or: ‘The Great Amsterdam Art Calendar’ is a 29,7 x 34 cm, nearly three kilo heavy calendar showing a work of art by an artist from Amsterdam each day of the year. 365 artists, fashion- and graphic designers, photographers and architects have been selected and I am proud to be one of them. BUITENKUNST & FESTIVALS This summer I will be working as a Fine Art Teacher again at Buitenkunst Drenthe, one of my favorite places to be. I will also give workshops to children at Festival Waterpaard & Uit je Bak Festival. SEARCHING FOR WOLVES IN ROMANIA From the 19th of April until the 19th of May I will be in Borsec, Romania, researching and working - among other things - on a new video work about the wolf and the fear it inspires. I am there courtesy of an artist-in-residence programme called 'Inside Zone'. LOOM SUMMER EXHIBITION IN GEMEENTEMUSEUM My video installation Loom will be exhibited in Gemeentemuseum Den Haag for three months during the Summer Exhibition / ZomerExpo which is themed ‘Earth’ this year.From June 8th until September 15th 2013 tuesday – sunday, 11.00 – 18.00. Gemeentemuseum Den Haag Stadhouderslaan 41 Den Haag. VLUCHTKERK SILENT AUCTION I have donated three editions of the Dissimilitude book to the 'Benefiet voor De Vluchtkerk' Fundraising and Silent Auction. This time you can decide for yourself what you think this book is worth... All profits will go toDe Vluchtkerk. Sunday March 17th, 14.00 - 18.00 Amsterdam Roest, Czaar Peterstraat 213, Amsterdam. WILDE BOEKEN MARKT The last editions of the Dissimilitude book will be for sale at the Wilde Boeken Markt; a market initiated by Het Wilde Weten where artists, small publishers and designers present their rare art books. Opening: February 6th from 16.00 -21.00. February 7, 8, 9 from 11.00 – 21.00. February 10 from 11.00 – 18.00. Re: Rotterdam Art Fair Blaak 16-18, Rotterdam. WORK IN PROGRESS Nowadays I am working on a new project about the way the brain plays with the memories that it keeps and loses. It is a fascinating psychological and personal search. To be continued. PHOTO OF THE MONTH Two photographs from Dissimilitude will be FoMaa website during the month of January. This entails that throughout January 2013 these photographs will be for sale in a one-off edition of a unique format and price. SUPPORTED BY THE MONDRIAAN FUND I am very happy to inform you that I will be generously supported by theMondriaan Fund in the coming year. A so-called 'startstipendium' will help realize my plans, projects, exhibitions and more. RESIDENCY IN TRANSYLVANIA In the spring of 2013 I will work in the mountains of Transylvania in Romania, on account of an artist-in-residence programme called 'Inside Zone'. This programme offers me an oppurtunity to interact with young artists from elsewhere and to make new work in the area. COPENHAGEN PHOTO WALK One of my photographs will be shown in the Copenhagen Photo Walk on Gammel Kongevej during the Copenhagen Photo Festival from the 7th ‘till the 17th of June 2012. WORKSHOPS AT BUITENKUNST In addition to creating works and projects as a photographer / artist, I am very interested in developing workshops to inspire others (and, in doing so, myself). This summer I will start working at Buitenkunst Drenthe, specializing in the Fine Art program for children. ATELIER I have found a beautiful atelier / studio space at the Bonte Zwaan. It is situated in the harbour of Amsterdam, and surrounded by water, houseboats and swans. I share the space with three other artists; Elise Schouman, Geertje Geurtsen and Maarten Rots. WORKING WITH ANOUK KRUITHOF IN LONDON & PARIS In the first week of January 2012 Laura van Rijs and I will be assistingAnouk Kruithof in building the exhibition Fragmented Entity, including the new spatial installation Wall of Fading Memory, in B&N Gallery in London. Furthermore, in the third week of January Laura van Rijs and I will install The Daily Exhaustion, another work by Anouk Kruithof, in Le Petit Endroit in Paris. DE BELOFTE I'm going to participate in De Belofte, a project initiated by Kunstliefde. A small group of young artists who have been selected during graduation exhibitions and portfolio viewings will gather monthly for about a year, and create new work based on a theme or concept that has been chosen as a group. By the end of the year there will be an exhibition of the resulting new works at Kunstliefde in Utrecht. NOMINATED FOR STEENBERGEN STIPENDIUM I have been nominated for the Steenbergen Stipendium, perhaps the most important prize for photography students in the Netherlands. My work (Dissmilitude) and that of the four other nominees will be exhibited in the Dutch Photography Museum in Rotterdam. Exhibition 3 september till 30 october 2011. Award ceremony 25 october 17.00-18.30. Het Nederlands Fotomuseum Wilhelminakade 332 Rotterdam. MANY LAYERED STORIES GRADUATION CATALOGUE This year's graduating photography students at the Utrecht School of the Arts have published an unique catalogue called Many Layered Stories. It is one book consisting of twelve different-sized booklets, one for each student. Projects by Kirsten van Etten, Laura van Rijs, Susan Eikenaar, Harrie van den Berg, Elise Schouman, Sofie van Greevenbroek, Sanne Cobussen,Milou Abel, Peter Lipton, Kees Muizelaar, Thera Vermeij and Sanne Kabalt. Design by Sybren Kuiper. Many Layered Stories was selfpublished in an edition of 1000, and is still available for €10. You can order a copy by sending me an email. GRADUATION EXHIBITION I've graduated! Dissimilitude will be exhibited in the Graduation Exhibition at the Utrecht School of the Arts. Opening june 30th 16.00-21.00 1 july 10.00 - 21.00 / 2 july 11.00 - 17.00 / 3 july 11.00 - 17.00 2011 Utrecht School of the Arts Ina Boudier Bakkerlaan 50 Utrecht. EXHIBITION SEA A selection of photographs from my new project about the sea will be exhibited near the sea! The photographs will be shown in a church in Burgh in Zeeland during the Kunstschouw Westerschouwen. Opening june 17th. Exhibition june 18 till june 26 2011. N.H. Kerk Burgh Burghse Ring 33 Burgh.